You will need to use the Smarteefi App for Android or iOS to connect your Smarteefi switches and provide each switch a distinct name. Switch name can be changed from Smarteefi App->Settings->Switch Names option. 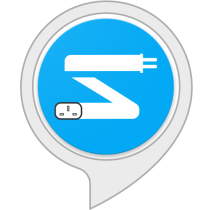 Open the Smart Home Screen in your Alexa App, select Get More Smart Home Skills, select the Smarteefi skill and press “Enable Skill”. The Alexa app will bring you to a page that will allow you to link your Alexa profile and Smarteefi profile. Once your Smarteefi profile is verified and linked to your Alexa profile, you can discover your devices by saying, “Alexa, discover my devices” or running a device discovery in the Smart Home screen of the Alexa app. Now, you can control all the gadgets connected to your Smarteefi switches without having to reach for your phone or tablet. Just give a shout out (or a whisper), and Alexa will take care of it for you.